Find the right tour for you through Trinidad. We've got 111 tours going to Trinidad, starting from just 6 days in length, and the longest tour is 23 days. The most popular month to go is November, which has the most number of tour departures. "Great tour itinerary and great tour guide and driver Thomas! Love every single minute..."
"I’d been to Cuba twice before this tour and did the all-inclusive thing. Going..."
"Orlen is friendly, engaging and professional. He has a deep knowledge of Cuban history..."
"Very lucky to have had a fabulous group on this tour. 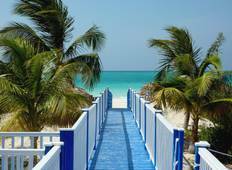 The itinerary was great and..."
"We booked the 10 day Vivacious Cuba Group tour and had an amazing trip. The tour..."
"The tour was a lot better than we expected. We had heard negative things about the..."
"As a seasoned traveller I have to say I was left a bit wanting. 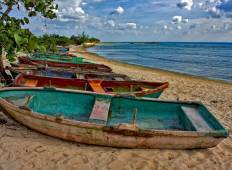 It didn't seem to..."
"My 8 days in Cuba were extraordinary! As a solo traveler, I could never expect to..."
"Our tour gave us a feel for Cuba which I don't think that we would have got on our..."